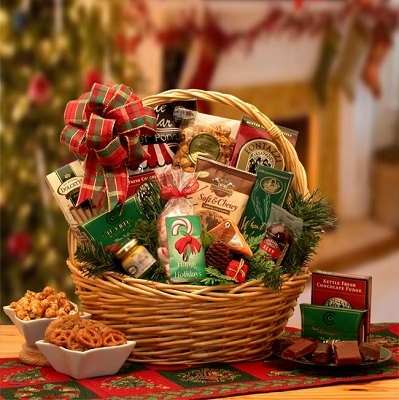 Send an old fashioned Christmas basket to your friends and family this year. 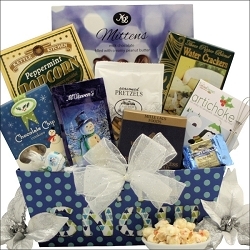 A cozy fire crackles and Old Man Winter is blustering with warm and cozy treats. 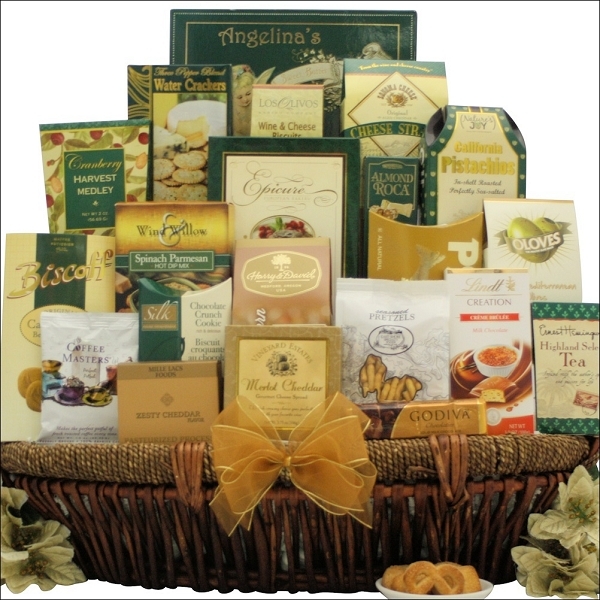 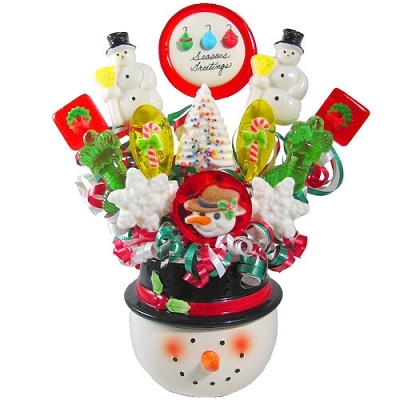 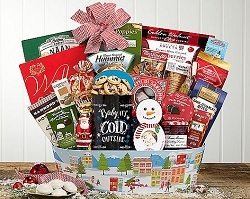 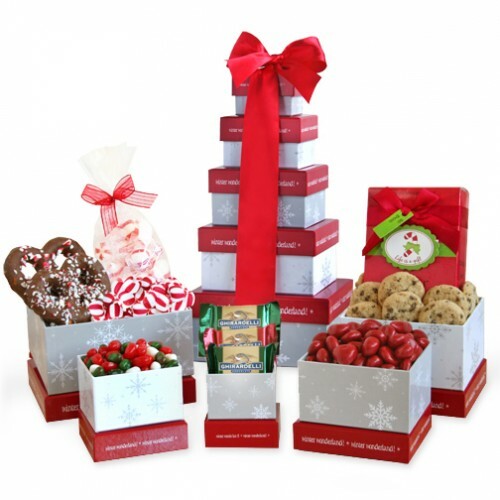 A traditional plaid lined hamper is filled with delicious sweets and treats. 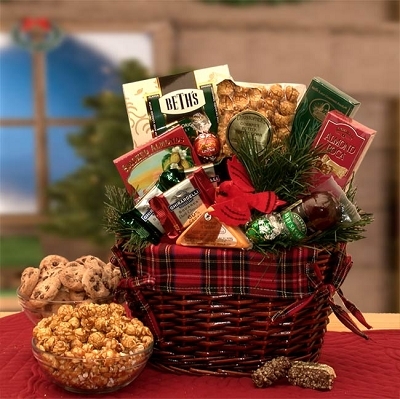 Gift Includes: Beth's chocolate chip cookies, Butter toffee caramel corn, Stone wheat crackers, Almond Roca candy, Smoked almonds, 2 mint Ghirardelli chocolate squares, Milk chocolate Ghirardelli chocolate square, Wisconsin cheese triangle, 3 oz beef salami, milk chocolate Lindt Truffle, Dark stain wicker basket with a plaid fabric liner.